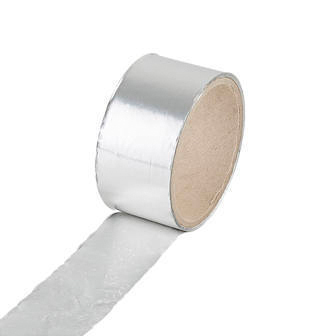 Aluminium tape to seal the top edge of Corotherm sheet, preventing the ingress of dirt, insects and algae. Supplied in 10m rolls. Apply aluminium sealing tape to the top edge of Corotherm multiwall polycarbonate glazing sheet to prevent the ingress of moisture, dirt, insects and algae.